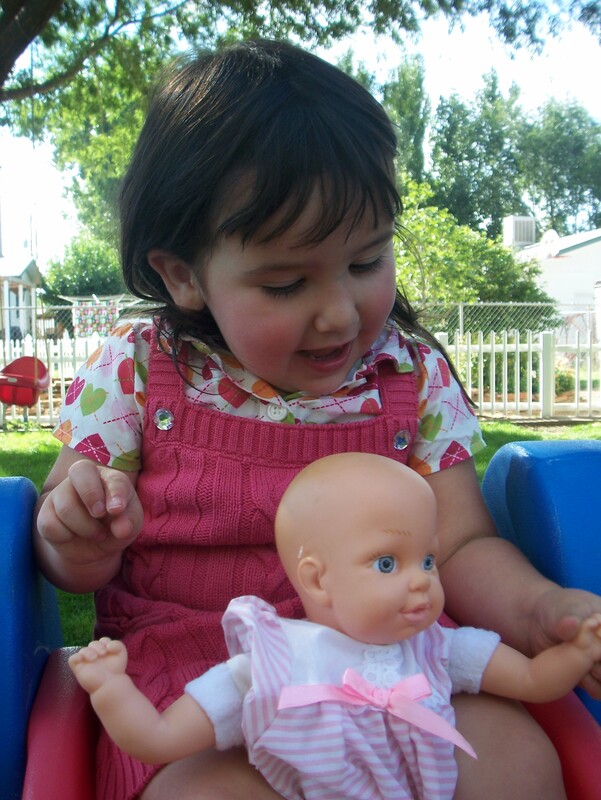 As I was watching my daughter, Payton, play with her “babies” (dolls), I remembered a conversation I recently had with one of our social workers. The social worker was in our home visiting Jeremiah, but Payton was present during this particular one. I was sitting on the floor with Payton on my lap. We were singing, “Head and Shoulders, Knees, and Toes,” and going through the actions. The Worker said to me, “It’s weird to think, but you are teaching her to be a mom.” She continued, “It’s sad, but so true.” This Worker is young and new to her job, and I think she was having an “ah ha” moment. This truth is something that I have learned and seen repeatedly since starting Foster care. As parents, we are teaching our children (even our babies) how to be empathetic, compassionate, and loving. A friend of mine adopted a girl through foster care. The girl was about eleven months old when they got custody of her. She didn’t play with dolls for a long time. When she finally did, she lined them up and fed them one by one. Notice, I didn’t say she wrapped them up, cuddled them, and fed them a bottle. It was more of a duty to fulfill, without a loving touch. This could have been strongly indicative of what she had been shown (or in this case, not shown) during infancy with her birth mother. The book Ghosts from the Nursery shares an example of how parent/child interactions affect how humans learn to care for their own children in a true story about a girl named Monica. As a newborn, Monica was fed through a tube in her stomach. For two years she was fed laying flat on her back without any bodily contact. Another tube was inserted in her neck, hence, it limited how Monica could be held and her mother became depressed and withdrawn. At the age of three Monica was able to eat normally, and she grew up with no conscious memories of her early tube feedings. Yet, Monica fed her dolls in the same manner as she had been. Monica eventually had children, and even though her mother, husband, and sister all instructed her to hold her babies close to her in a face-to-face position, she consistently rejected close body or face-to-face contact with her babies while feeding them. This entry was posted in Uncategorized and tagged compassion, empathy, neglect. Bookmark the permalink.